We are a legal firm which provides high quality legal services to the people of Victoria. We provide particular expertise in personal injury law, including specialists accredited by the Law Institute of Victoria. Our lawyers are all able to assist with personal injury claims, and have acted for many, many injured people of Victoria for over 20 years. Our lawyers are committed to excellence, and are proud of their results and the reputation of the firm. Our support staff are well trained and committed to assisting our clients. We understand the needs of the people of Country and Metropolitan Victoria. 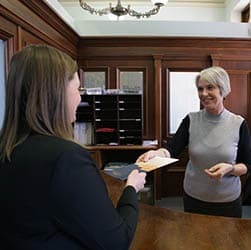 Our offices in Bendigo, Echuca, Shepparton, Castlemaine, Melbourne and Traralgon allow the people of Victoria to access excellent legal services. We promise to explain your rights and the legal process to you in language you will understand. We will listen to your story and your concerns. We know that legal charges are beyond the reach of most people, and we try to make it easier for you to afford our services. In many cases we are prepared to work for you on the basis that no charge will be made unless you are successful. We promise we will always explain our charges clearly to you. Your first interview is free, and in approved cases, there is no charge until you win, and we may pay for medical reports, court fees and other expenses. We do not work for big companies. We will fight for your rights, without being compromised by any conflict of interest. Our firm is a member of the Australian Lawyers Alliance, which fights for the rights of ordinary people. We understand that dealing with lawyers can be daunting. We take the time to make sure that you understand your rights and responsibilities, and explain the information clearly and concisely.